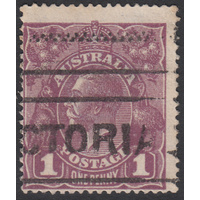 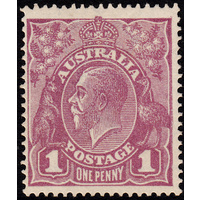 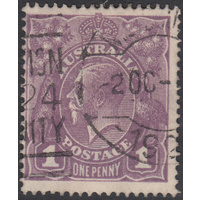 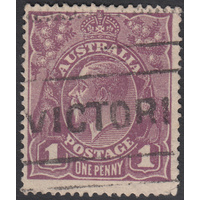 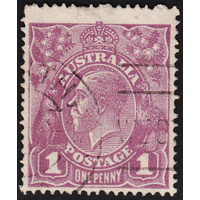 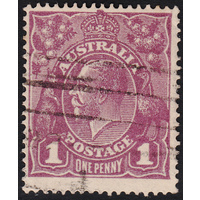 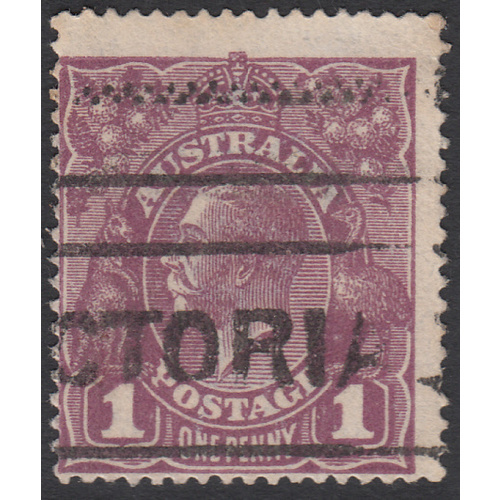 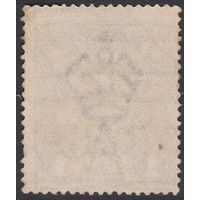 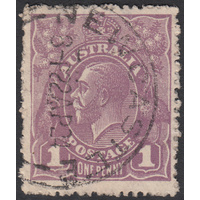 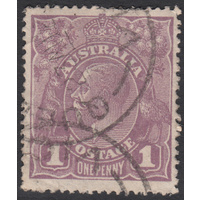 Australia KGV 1922, 1d Violet, Single Watermark, variety 7/32 (Nick near top of left frame) in Good Used condition with a fold across the top right corner perforation. 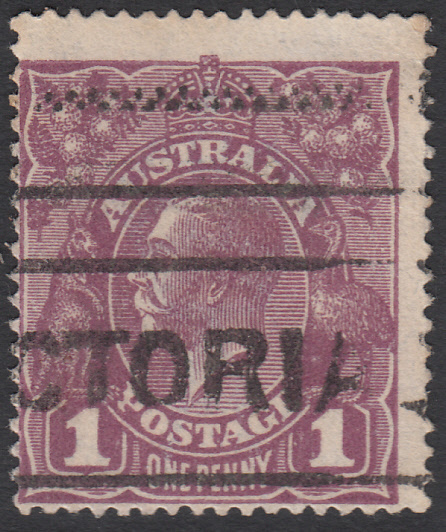 Centered left and low with a machine cancellation (VICTORIA) well clear of the variety. 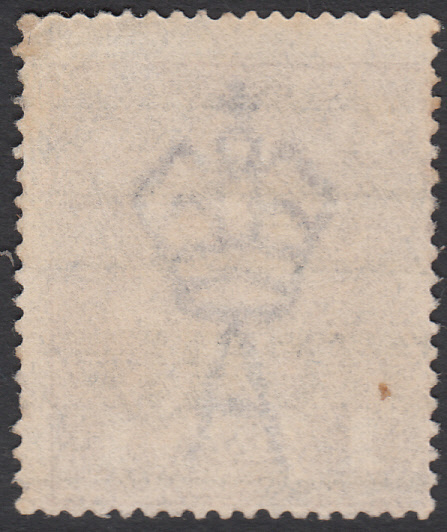 BW 76(4)g.